Flood water destroyed a 150-year-old North Stonington landmark. Water killed the Watermark Café in North Stonington. The 150-year-old landmark building was so destroyed by floodwater that it had to be demolished on Tuesday morning. Massive storms and flooding from the Shunock Brook damaged it beyond repair last month, causing a partial collapse of the building and other structural damage. 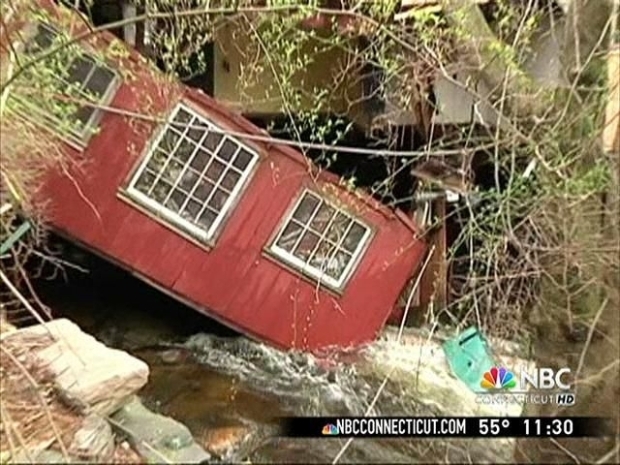 Debris in the fast-moving brook slammed into the support beams of the building and caused the back of the structure to fall into the water, the Day of New London reports. Residents watched speechless as history was demolished. 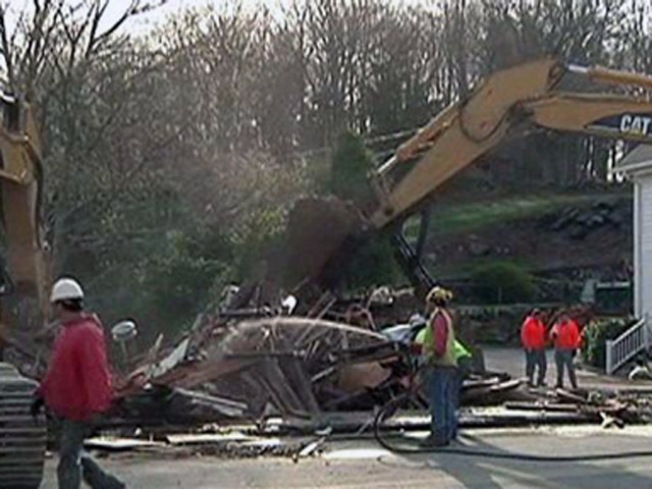 The 150-year-old landmark building was so destroyed by floodwater that it had to be demolished on Tuesday morning. "It's sad, sad to see it go,” Mark Senior, of North Stonington, said. “I don't know what other word to use. It's a sad day in N. Stonington." Residents, including Ora Blodgett, said they would miss the good food and coffee. “I would go there every morning for coffee," Blodgett said. Senior said he hopes the hopes the building will be rebuilt. "Mother Nature gave us a lesson on this one. You can't do things like you did before," Nick Mullane, First Selectman North Stonington, said. Fortunately, the Village Hardware Store, located next store, cam be saved.